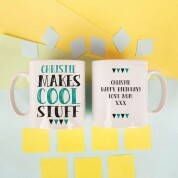 If you know a crafter who is always making things, why not make their day with a personalised mug! 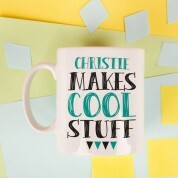 The mug features a modern typographic design, with "makes cool stuff" on the front of the mug. 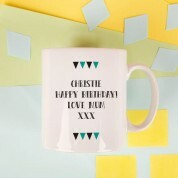 It's fully personalised in house with the recipient's first name above the text, and space for your own personal message on the back between the triangle design. 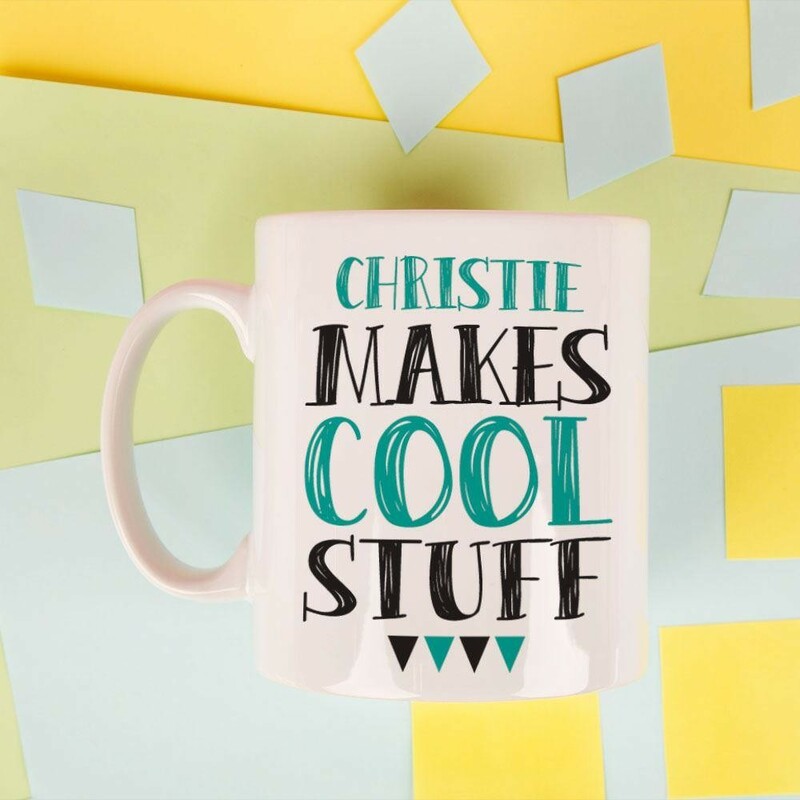 It's a great gift to show off their talents, and is perfect for birthdays, Christmas, or any other special occasion.